By public vote the ‘Best British Car Ever’ is the Jaguar E-type, revealed today at Classic & Sports Car – The London Show. It’s the climax to a six-month process of selection and voting which has seen ten British icons battle to be named the car that people hold closest to their hearts. 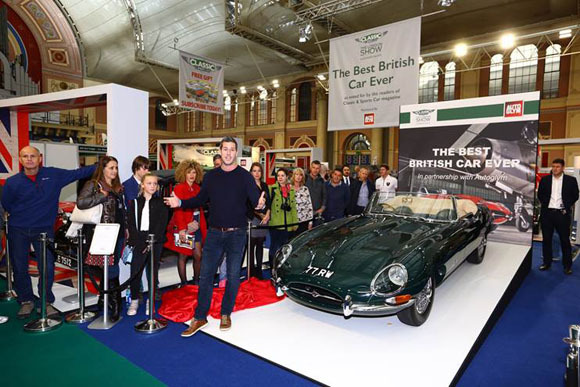 Today, that winner was revealed, with the wraps pulled off a fittingly special E-type as Classic & Sports Car – The London Show opened its doors to the public at Alexandra Palace. 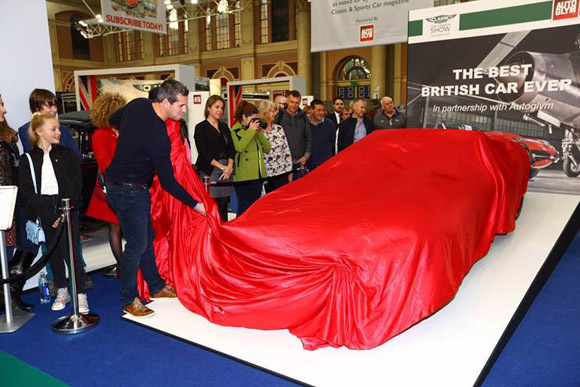 Ant Anstead took the cover off to reveal ‘77 RW’ – the oldest-surviving open E-type and the original car that Norman Dewis OBE, another Interview Stage guest, drove from Coventry almost non-stop to the Geneva Motor Show for its worldwide debut in March 1961. 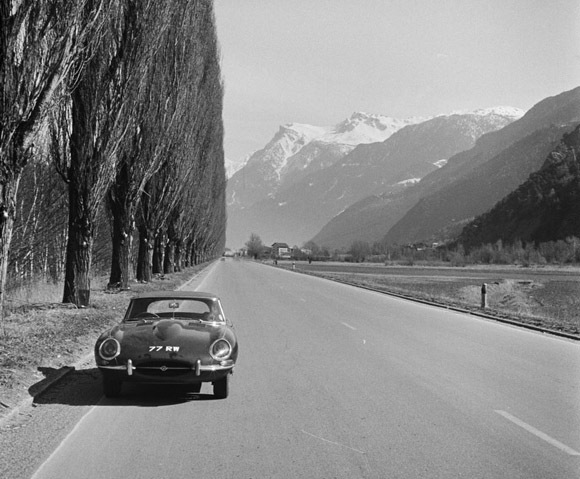 The Series 1 3.8-litre car was built in in February 1961 as the first production two-seater and, as well as starring on the Geneva show stand, was a press demonstrator, used by The Motor for its road test, published 22 March 1961. 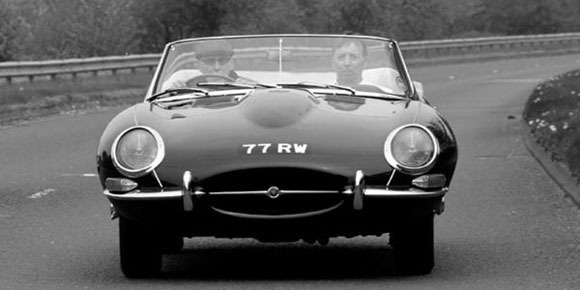 In 2000, Mr Michael Kilgannon, the long-term owner, put ‘77 RW’ on permanent loan to the Jaguar Daimler Heritage Trust. The car was then completely restored with the assistance of Martin Robey Limited of Nuneaton. From today until Sunday 1st November, this particular E-type will feature in a £40m centrepiece display, sponsored by car care and valeting specialist Autoglym, featuring the top ten British cars. Earlier this year, Classic & Sports Car asked a jury of more than 100 motoring experts to come up with the shortlist of 10 cars. Their nominations ranged from the affordable car that put the nation on wheels, the Austin Seven, to the McLaren F1, the most uncompromised high-performance car ever built. For stage two that shortlist (which also included the original Range Rover, Lotus Seven, Jaguar XKSS, Rolls-Royce Silver Ghost, Ford GT40, Mini Cooper S, Bentley Speed Six and Jaguar E-type) was put to a worldwide public poll. And thousands cast their votes with the E-type the overall winner.